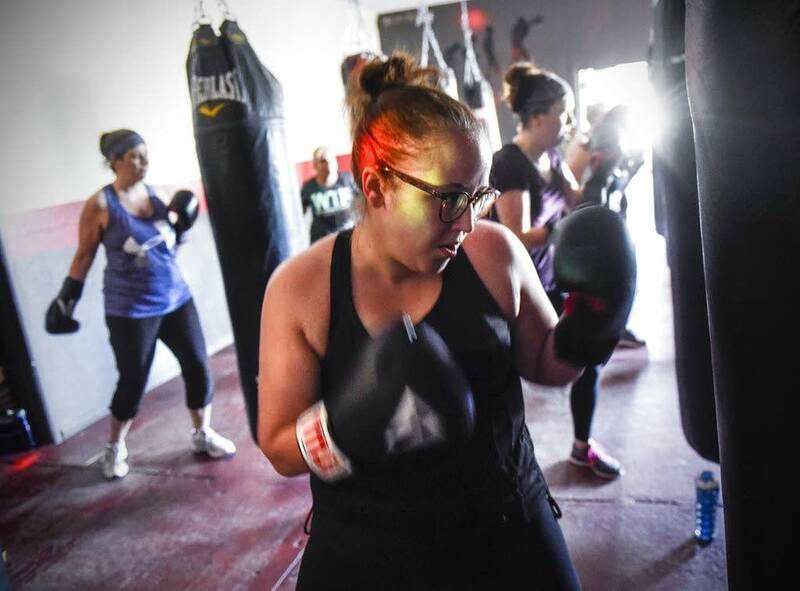 The idea came from a problem Hallie Leffingwell was having when she was a competitive kickboxer. Leffingwell said listening to the music was a lot of fun. "I thought, 'If I can enjoy it, everyone else would, too.' I had some people help me choreograph a class and the members of my gym absolutely love it," she told the St. Cloud Times. A person can burn about 300 calories in a half-hour, she said. "You leave just drenched," Leffingwell said. "It's fantastic." "It's way more high energy than most workouts, and it doesn't feel like you're working out," said Danielle Carlson, who is from Clearwater. "If I could get to the class more, I would. But right now, I have three kids in baseball. ... Otherwise, I'd do it every day." "I like the fact that it's in the dark with the lights down because it makes you more comfortable," Weismann said. "It's geared for all ages and sizes and you get a little dance in there. ... I love kicking and hitting the bag. You can get mean and aggressive and then they calm you down with the dancing." "It's super cheap," she said. 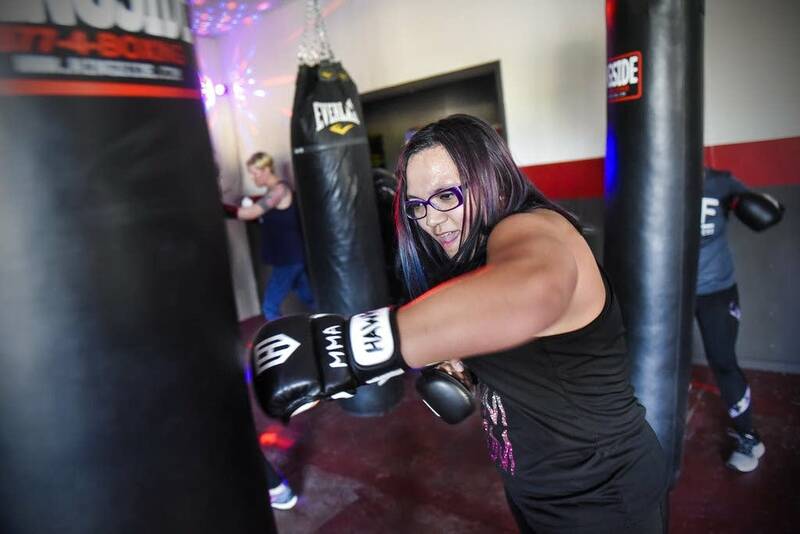 "I looked into other boxing places and the workouts are very expensive. ... The lights are off during the workouts, so for older women or for women just getting into working out, you just want to feel comfortable."